Upon death, you can leave your money to your family, your charities or to the government….and you must choose two out of three. 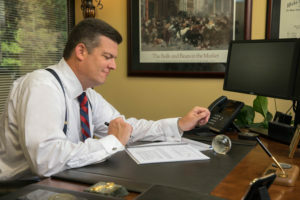 Rick Gardner, our Raleigh, N.C., estate planner, will maximize the distribution of wealth to meet your objectives. RGA Investments will establish a comprehensive estate plan that leaves little to chance. You have worked very hard to reach financial independence. We can guide you to the most effective strategies to transfer your assets to the next generation. Let us show you the steps you can take now to protect your assets for future generations. Trust RGA Investments for expert advice on wealth transfers, estate taxes, wills, estate planning and other financial considerations for the future of your family and loved ones. Contact our Raleigh financial services office today to schedule your free consultation and portfolio review!